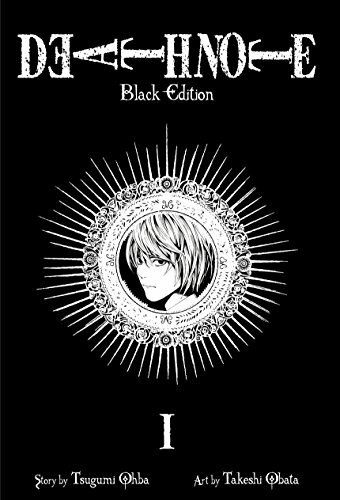 Essential Manga: What is Death Note? Imagine finding a notebook on the floor. Imagine that any name written within it would cause that person to die. What then? 'Death Note' is my favorite manga of them all. You're not going to get an unbiased view of this, because I've been a fan-girl since I first read it! Light is a genius schoolboy, who makes a terrible discovery. It's a notebook belonging to a Death God. Any name written in it will cause that person to die in real life. It's a huge responsibility for a teenager, but one which he is determined to shoulder. What would you do, if you had the means to make the world a better place at no apparent risk to yourself? 'Evil, be thou my good!' railed Satan in Paradise Lost. It is a sentiment that wouldn't be missed by Light, as he moves through one of Japan's darkest manga stories. 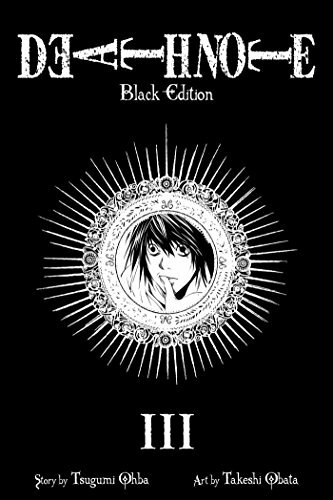 Death Note is easy to read, but the dilemmas presented within its pages are psychologically profound. Neither author Tsugumi Ohba nor artist Takeshi Obata attempt to guide the judgement of their readers, as the characters before them act in moral shades of grey. There's no black and white here. No proclaimed right and wrong. Heroes and anti-heroes abound. They are often the same person. Light is a grade A student, when we first meet him. More than merely clever, he's acknowledged as a genius by his teachers and classed as the brightest schoolboy in Japan. This is a mind that is liable to ask questions, when a mysterious black notebook is left in his path. Particularly when the words 'Death Note' are emblazoned on the front cover; and even more so when the list of rules inside make disturbing reading. According to them, this book can kill. Anyone whose name is scrawled inside, while the writer retains an image of their face in his head, will expire within forty seconds. Unless the cause of death is clarified, then the victim will suffer a fatal heart attack. Light deduces that it's all an elaborate prank. Nevertheless he experimentally writes a name between those covers. 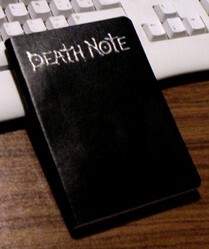 Read Death Note in the form which made it world famous. Don't miss out on Obata's amazing artwork. People are born and people die. There are supernatural forces, which can determine when the latter happens at least. What do you call an entity with a divine power over life and death? Light soon finds out, as it transpires that the Death Note isn't as risk free as it first seemed. In fact, the stakes can only get higher, the more he enters into a Faustian pact with the true owner of this tome. But the world would be a better place without murderers, rapists, criminals, the Triads, the Mafia, petty dictators intent on committing genocide and causing endless wars, corrupt politicians, and all of those other predators over the sick, the weak and the helpless. Wouldn't it? Well, wouldn't it? And what do you call someone who kills hundreds, thousands of people? Is there a name for them too? Globally, there are police forces and national leaders who certainly think so; and they have their own secret weapon. Another genius with access to governmental, military and police resources wherever he goes. They have L.
Who is L, and what can he and his associates mean for Light? You'll have to read the manga or watch the anime to find out! Buy the box sets to own the whole series, or build your collection more slowly with the individual DVDs. This powerful story is sometimes taken way too far by its legion of obsessed fans. Death Note games, novels, trading cards and a lot more merchandise besides have spawned from the original manga. There have also been three live-action Japanese movies. Unfortunately, there have also been copy-cat crimes, which left one man dead in Belgium; and caused the whole franchise to be banned in China. It's difficult to determine precisely how many copies of the Death Note manga have been shifted around the world. But it must have been a lot. In 2008, before the series was even complete, 26 million of the volumes had been sold in Japan alone. Beyond that, we must extrapolate from the fact that publishers, Viz Media, are forever mentioning it in the same breath as Naruto, Bleach and One Piece. The recent figures are known for Bleach (75 million in Japan; 2.1 million in North America), so if it is assumed that Death Note is about the same, then those figures provide a ball-park here too. Nearly a decade after Death Note was first serialized, in the Japanese manga magazine Shonen Jump, it continues to attract more fans every day. It's here to stay. Essential Manga: What is Naruto? Naruto is the bullied and neglected kid, but there is far more to him than meets the eye. His destiny is about to change his life. Essential Manga: What is Bleach? Ichigo Kurosaki has been battling Hollows and guiding souls to the afterlife for a decade in Tite Kubo's mega-manga, Bleach. 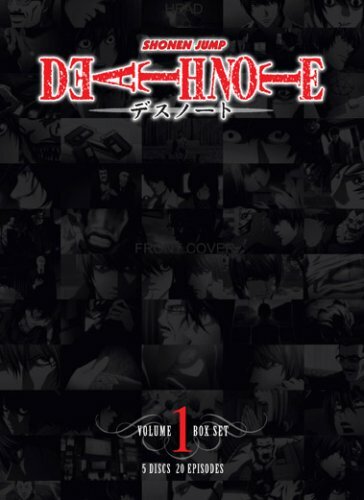 Poll: Do you enjoy Death Note? Some rare items and bargains can be snapped up, if you keep an eye out! Yay! Another Death Note fan! The thing that I love most of all is that you're not told who to like and who to hate. I can be sitting in the same room as someone and come up with different conclusions about the events in Death Note. Most stories are far more black and white. A great character, his genius gets him into some very dangerous stuff. Smart kids love this stuff, it's rather good for the parents as well. Love you coverage of Essential Manga, What is Death Note, a really good one that is as it gets kids thinking and parents as well if you just give it a go, thought provoking indeed. My oldest loves the art, she enjoys drawing it herself. By the time that your grandchildren are old enough for this, you'll have the head start. You'll be able to tell them all about it! I'm out of touch with everything now that my kids are grown, but I do have grandchildren. They're too young for this now. Ember - I heard about that amongst US schoolchildren too. On the one hand, it couldn't have been pleasant for those listed within the home-made Death Notes (though these were highly unlikely to work like the original one); on the other, I think that the media really did blow things out of all proportion. I've always thought that Death Note would make a great basis for discussing morality with young people (and adults too!). It's spawned some amazing debates on various forums over the years. There are so many layers to it, so each rewatch presents another nuance to muse over; but still seems to remain relatively simple to follow. There's some clever writing there (even if a few plot holes did occur along the way). Should Death Note be considered mature viewing? I don't know. There's nothing heavier in there than what we see every day on the news. But it's all framed in such a way that we ask questions of this storyline, that are rarely asked about real life events. I first read it at a time when my 12 year old nephew was engrossed in it. I found a much deeper story than he was reporting, so I think that younger minds just skipped over some of the huge philosophical implications. They're more interested in the action. I know nothing about Manga, but I do enjoy reading your very well written articles. My sister was about 11 when she told me she wanted to watch the anime with me. I thought about it several times over before letting my sister watch it, but she was asking, and she's not a stupid kid-better on a computer than I am by far- and so if she wanted to read the manga or watch it, she'd access it on her own. So, I watched the anime with her, and then we just talked about what she was watching, what she thought of it and so on. It really sinks in how exposure to something like this, especially with all of the grey areas of right and wrong like you talked about, can really affect a child/young teen. I know very well that once a child is exposed to the reality of the world there is no turning back, and Death Note carries some very heavy themes...political, moral, the reality of human nature and so on... which can be interpreted in as many ways as there are readers, I think. I've wondered before if Death Note should in be considered as containing mature content in some ways. I dunno though. In 2007, a bloke was murdered in Belgium. The killer(s) left notes beside his body containing Death Note references. I might be wrong about the fan works thing, but it certainly appears so to me. I am not sure I know what 'killing each other in Belgium' refers to...? I'd never thought of those books being fan works before, but it makes sense! Oh the Death Note fandom... :D When they're not killing each other in Belgium, there are some decent stories and artwork out there. 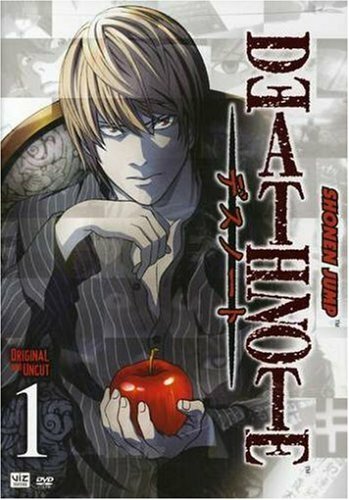 I can't prove it, but I remain of the opinion that the novels based on Death Note were originally fan works! I'm like you, I wanted more when it was finished. It was recommended to me by a friend, so I thought I'd just check out the first one. That was my life on hold until I reached the end of the last chapter. Essential Manga: What is Akira? Neo Tokyo is a post-apocalyptic city. The former was annihilated by a massive bomb and WWIII. Is it about to happen again?